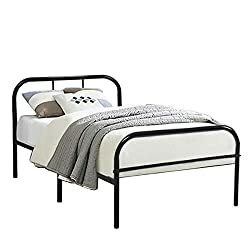 224811 products found in Single Beds. 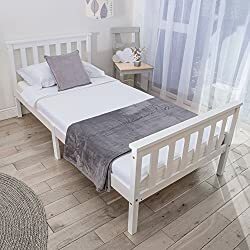 Your request for Single Beds revealed a total of 6224811 results. 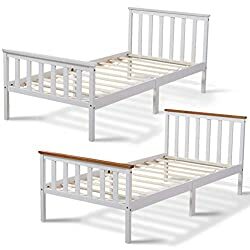 Product Features: Single solid wooden Bed frame with smooth white finish, The stylish design will compliment any interior, Item takes a standard 3ft single mattress (190x90)- Frame Size : H:82cm L:198cm W:98cm, Fixed Wooden slats and extra middle leg to add extra strength, Clearance under the bed from floor is approximately 20cm, Mattress is not included-Delivery Excludes channel islands, highlands and northern Ireland, Supplied flat packed with a simple 7 step assembly process. The included instructions are simple to follow and will guide you every step of the way and we also have a UK helpline, open Mon-Fri 9am - 5:30pm.